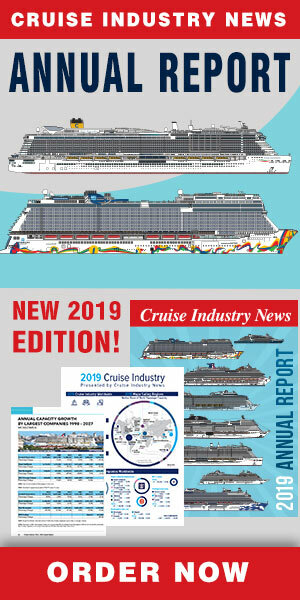 Jamaica has reported a 23.7 percent increase in cruise passenger arrivals in 2011 in its recently released Annual Travel Statistics 2011 report. More than 1.1 million passengers visited in 2011, compared to 909,619 in 2010. Total visitor arrivals to Jamaica in 2011 were 2.0 million of which cruise passengers made up approximately 37 percent. Foreign land visitors spend an average of $115.74 per day, while cruise passengers spent an average of $71.27 per day. The goal, however, is to raise passenger spending to $120, according to William Tatham, vice president of shipping and marine operations for the Jamaica Port Authority. Tatham told Cruise Industry News that the spending in Falmouth already was significantly higher than in Octho Rios and Montego Bay. In addition, attraction owners are becoming more savy in terms of encouraging passenger spending, and the government has recently expanded the list of items that can be sold duty free and is looking to expand further. "Jamaica also continues to add to its stable of attractions and shore excursion offerings," Tatham said. "It is our intention to look at Montego Bay and Ocho Rios and apply what we are learning in Falmouth to create the right environment for shopping and restaurants. The main reason for the increase in cruise passengers was the opening of the new Falmouth port, contributing 456,442 passengers on 110 ship calls, or 40.6 percent of the total number of passengers. The Port of Ochio Rios accounted for 417,520 passengers or 37.1 percent of the total, and Montego Bay posted 250,491 passengers, or 22.3 percent of the total. The ships carrying the most passengers to Jamaica in 2011 were the Oasis of the Seas, with 21 calls to Falmouth and 125,023 passengers, and the Carnival Conquest, with 35 calls to Montego Bay and 120,526 passengers. Other major callers were from Celebrity Cruises, Costa Cruises, Holland America Line, MSC Cruises, Norwegian Cruise Line, P&O Cruises, Princess Cruises and Pullmantur Cruises. With Falmouth, Jamaica has been able to generate more year-round traffic so the winter season concentration is less pronounced than in many other ports, although 60 percent of the passenger traffic came from January through April and in November and December (2011).